Home Common Mistakes Silent Letters: Why so important? It is believed that these silent letters cause difficulties for both native speakers and English learners because they make the spelling of words different from their pronunciation. Well, it’s true but to an extent. 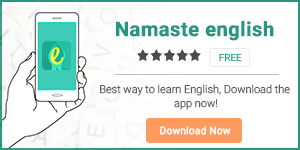 क्या आपने कभी सोचा है की आखिर ये silent words आए कहाँ से और कुछ English words की spellings में इनका use क्यों किया जाता है? That’s why we have to use silent letters in their spellings. Hence, silent letters play a crucial role when it comes to understanding the homophones. Just like the above example, Rite and Write can be differentiated only with the help of their spellings that is, by adding a silent letter. Once again, silence to the rescue! Thus, the silent E plays an important role here. Clearly, silent letters can change the pronunciation of words, even though they are silent! How ironical? As we all know, every language is an amalgamation of different languages and English is no exception. I hope that our reader’s misconception about the silents letters’ uselessness might have changed.